Acorn House is not a guesthouse – it's an experience. "Acorn House: We love this place." “Amazing stay. Delighted staff, delighted touches – delighted all round! Thank you so much! "Thanks for a wonderful stay, good food and a lovely accommodation." "Great place, in a lovely place of town. Thanks to all of you for your service. we will be back in 2017." "Wir haben unseren Aufenthalt hier sehr genossen. Vielen Dank für die guten Restauranttips." "Thank you for the wonderful time again." "Once again it was a wonderful stay at Acorn House, it really felt like Home from Home. Hope we will be back some day." "Es was sehr schön hei Euch. Wir kommen auch wieder." "Great place, nice staff, cottage was a great surprise. Thank you." "Ospitalita cordialita sinptia. e stato come essere a casa un posto da socino una parte del nostro cooze rimane qua!!!" "Es war an toller Aufenthalt bei Euch. Danke für die vielen süßen Aufmerksamkeiten im Zimmer, das private Frühstück und die wertvollen Ausflugtipps, die wir alle wahrgenommen haben. Diese 3 Tage sind nicht zu toppen. Wir kommen wieder!" "Amazing – lovely stay! Home away from home. LOVE!" "Amazing place, Lovely hostess! Thank you for all of the advice and help. This was the perfect place to start our trip in Africa!" "A lovely, homely place to stay! Everyone so lovely & helpful, we had a great time. Thanks to all!" 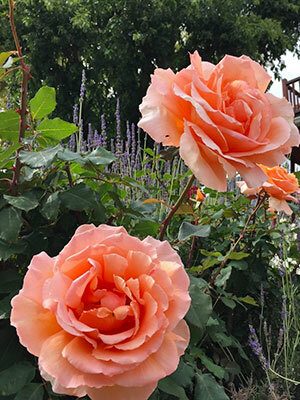 "Such a beautiful place to stay – our second time around. Many thanks to every one. xxxxx"
"Herzlichen Dank für den zauberhaften und wundervollen Aufenthalt, wir fühlten uns wie zuhause. Alles Liebe!" "Wonderful place to stay! Wish we could stay longer." "Amazing return trip to Cape Town and Acorn House. We’ll be back for sure! Thanks for the warm welcome!" 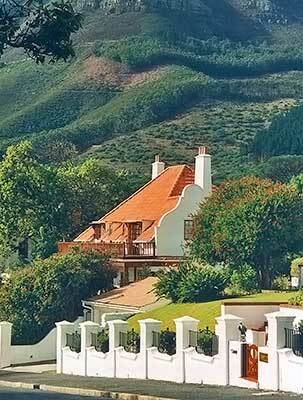 "A lovely place with awesome personal service and the best breakfast I’ve had so far in South Africa. Thank you! We enjoyed our stay here very much! :-)"
"Just perfect. Nothing more to say. We'll be back!" "Thank you for making a perfect week in Cape Town. Your tips and advice were more than helpful. Special thanks to the ladies in the kitchen for the perfect breakfasts." "Fantastic house – friendly and warm atmosphere. A place to recommend :-)"
"It was a really nice stay at Acorn House. We've enjoyed the time and can't imagine a warmer and friendlier place." "Third time! Must say all! Always perfect!" "What a fantastic find. Superb staff, service so personal, fantastic food & atmosphere – a little gem of a place. Thank you." "Wonderful service and perfect location." "This place is perfection. So comfortable, so thoughtful and completely unforgettable. Thank you all." "A lovely place to stay with excellent staff. My favorite place to stay in South Africa." "Such a pleasure to be here. It was our first stay and we wouldn't forget." "What a beautiful, friendly place! Many thanks for your warm welcome and hospitality. A perfect start to our first ever visit to South Africa". Thanks for all your help and advice – it’s been fantastic"
"Simply the best! We will return. Thank you, Team Acorn!" "Fabulous! Room beautiful and bathrooms spotless. What a pleasure to stay here!" "Thank you for the best service we’ve ever had! It was a great time in the Acorn House!" "Wonderful accommodation + excellent personnel. Loved our stay and hope to come back one day!" "We had a wonderful time at your very warm and cosy hotel. I wish it was not so far away from The Netherlands"
"Lovely atmosphere, great warm welcome and just so nice! Hope to be back soon!" "Thank you for all the little surprises every night! It was a fabulous stay for the both of us." 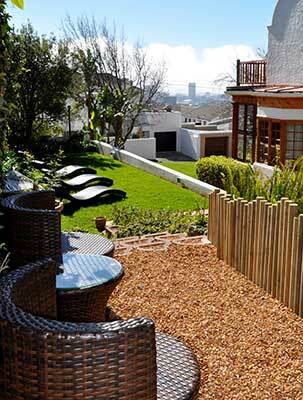 "This was a wonderful home for the three weeks I was able to visit Cape Town! I really appreciate the advice, help and friendliness of all of the staff. It’s been a great visit!" "Thank you for the warm welcome and a perfect service. We enjoyed it very much and loved the familiar atmosphere." "Thank you for the lovely stay. We love the little extra attention during the beginning of our honeymoon! The guest house and the staff are great"
"Beautiful house, delicious breakfast and wonderful hospitality! Many Thanks! The French toasted was amazing!" "We have had a lovely stay, it has been like visiting friends. Great setting, splendid food and outstanding service." "Thank you for such a perfect start of our holiday in S.A. Magnificent stay and we will recommend you highly." "Amazing attention to detail! We know it takes a lot of work to be so attentive to guests & we appreciate every bit of it!" "Stewart – you have absolutely made our stay in Cape Town! Thank you for your warm hospitality and great tips! What a fabulous guest house! Will definitely recommend!" So sad to leave! I've loved my stay! Many Thanks to every one!" "This is the best house I've ever been at. Thanks for your hospitality and friendliness." "Thank you so much for making our stay in CPT so extra special. Acorn House has surpassed our expectations! Simply magical…"
"We were here for the second time and we felt like friends. Fantastic! Vielen Dank!"